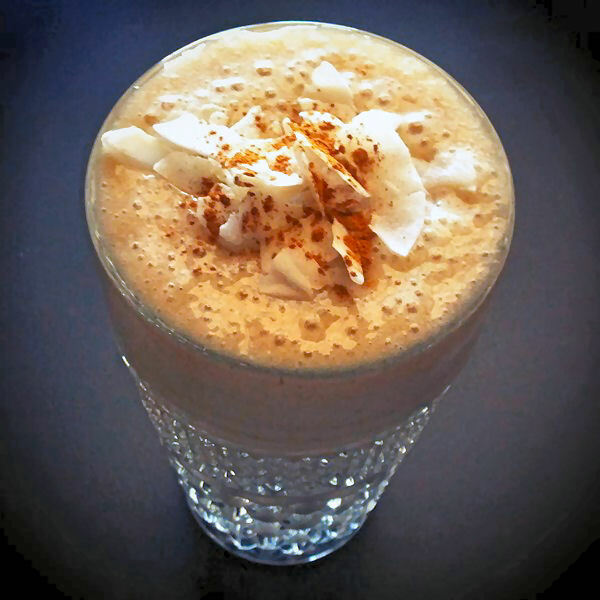 This is perfect breakfast smoothie which can be used as a meal replacement, and also used in the place of your morning coffee! Bananas are a great source of energy, vitamin B6 and sugars, which will help give you that natural energy boost you need in the morning! They also help to lower cholesterol and toxins in the body. The dates in the shake are also a great source of natural protein, about 2.5 grams per 100 grams of dates. They are also rich in natural fibers, vitamins such as calcium, phosphorous and magnesium, as well as minerals such as potassium and iron. Pull all the ingredients in the blender, and blend until fully mixed! If the mixture is too thick, add more water. 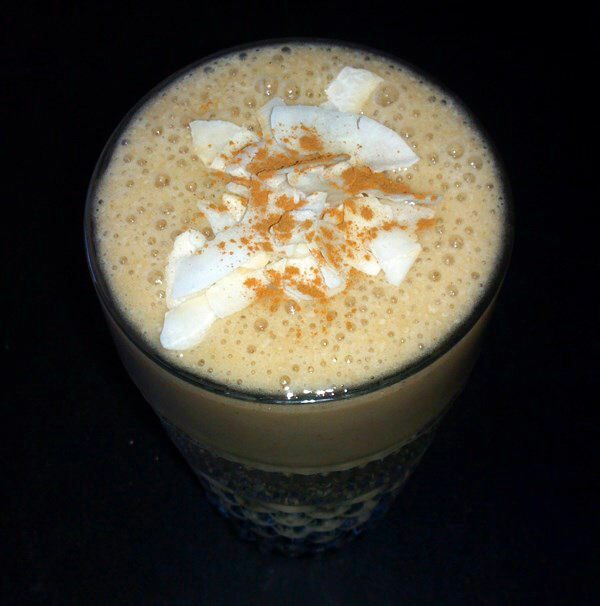 Top with some organic coconut flakes and cinnamon, then drink up! It’s sooo good!